Thousands of cyclists could be passing through the streets of Whittlesey next year as part of the Tour of Cambridgeshire. The main organiser of the mass-participation event said the tour will do everything it can to bring the race into the town. The two-day cycling festival includes riders of all abilities with 8,000 places available for the 80-mile Gran Fondo which this year is taking place on Sunday, June 5. The race also acts as the UK qualifier for the UCI Gran Fondo World Championships. The decision on whether Whittlesey will be included in next year’s itinerary will be made by the end of August after the town council put in a formal request to organisers. The request follows a survey carried out by the council which found that 72.2 per cent of the 594 residents who took part were in favour of the race coming through Whittlesey. 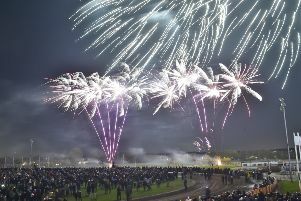 Town Councillor Ray Whitwell said: “It’s quite a prestigious event - it’s the only race of its kind in the UK and if we had it in our area we would be quite lucky. “If we can get it to go through the middle of Whittlesey it would help to put Whittlesey on the map. It would be good for local businesses and good for residents to see a big race. Tom Caldwell, the main organiser of the race, said: “We are looking to expand the scope of the tour to engage with communities. There are a few technical issues with bringing it to Whittlesey, but I think we can get past them. “We will do everything we can providing its financially viable and we can find a route to fit the cause. This year’s tour begins on June 4 with the ToC Chrono, a time trial run of 16.5 miles. Road closures will be in place throughout the weekend. To find out which roads are affected visit http://www.tourofcambridgeshire.com/Road_Closures.php.